Bedni Bugyal is one of the most beautiful alpine meadows situated in Uttarakhand, located at the border Garhwal and Kumaon in Chamoli district. The trek to Bedni Bugyal and Ali Bugyal passes through lush green grassy land, conifer forest clinging into the slopes of hills and steep climbs. 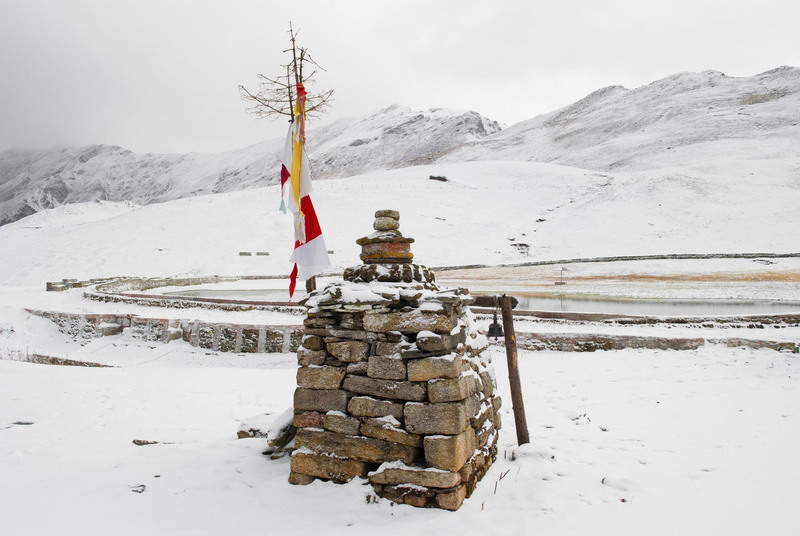 Bedni Kund in Bedni Bugyal holds great religious importance amongst the locals. The whole route to Ali Bedni Bugyal involves easy to medium grade trekking. The enthralling treks take some through enchanting valleys, hushed hamlets, and conifers and oak forests. Bedni Bugyal is one of the most beautiful meadows in India. Bedni Bugyal provides breathtaking view of the Trishul peak and one cannot resist capturing the majestic snow covered peak with their camera. For wildlife and nature-photographers, Bedni Bugyal offers lot of opportunities to capture nature at its best. Wan is the last village en route Bedni Bugyal. Varied colors and diversified splendors of nature can be seen on this enchanting trek to Bedni Bugyal. The reflection of the majestic Trishul peak on the crystal clear water of Bedni Kund is purely enchanting. Ali Bugyal is a vast expanse of green meadows with coniferous trees on the slopes. The trek to Bedni Bugyal is an easy one; however it is better to prepare for the trek at least a fortnight before. Running, cycling and swimming – all help improve cardiovascular stamina. If possible, avoid trekking in the monsoons season. The route is slippery and the region is prone to unexpected landslides and road blocks. One the largest meadow and the most beautiful one – Ali Bedni Bugyal is encountered on the trek enroute Roopkund. Situated at an elevation of more than 3,000 metres finding a guest house or lodge is not possible as the region is uninhabitable. 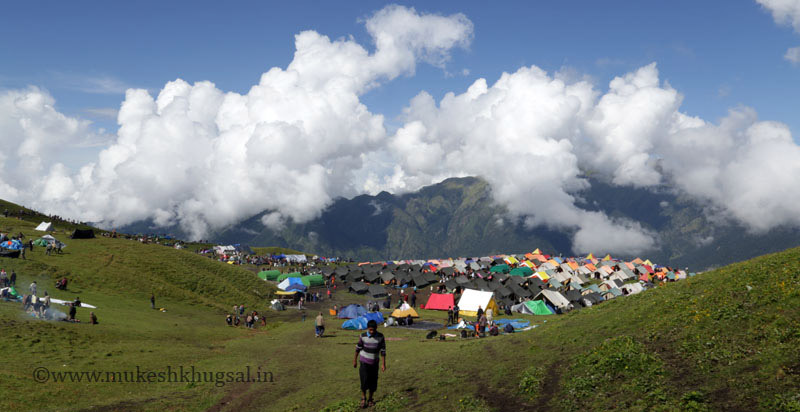 Trekkers tend to camp at the meadow itself. It is advisable to bring your own tent or rent one before you start your trek. Wan is the last village where one can find any accommodation. It is not possible to find even a tea stall let alone a local food joint at this height. The only food you can have is the one you take with yourself, or which is provided by your trek providers. If you are trekking with a group, it is advisable to find a local cook to travel with you so he can prepare meal for you. Also, carry some packaged food with you as a light snack for the route. Accommodation in Bedni Bugyal and Ali Bugyal? Wan is the last point where you can get accommodation facility while traveling to Bedni Bugyal and Ali Bugyal. During the remaining trekking route you must carry your own camping tents for accommodation. 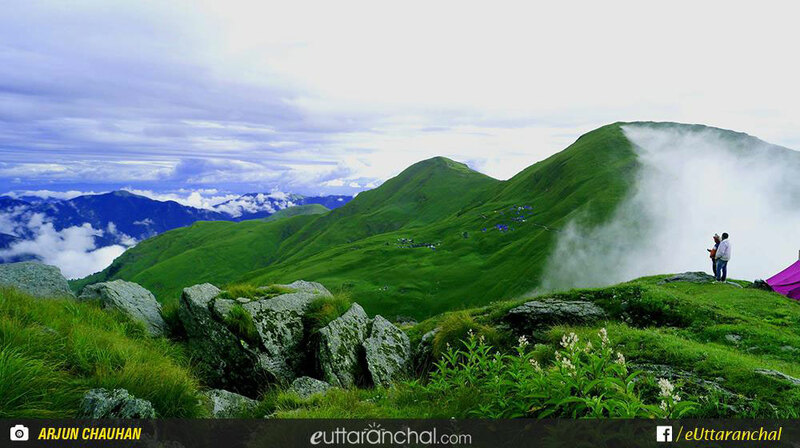 While trekking to Bedni Bugyal and Ali Bugyal you can further add a visit to the mysterious RoopKund. 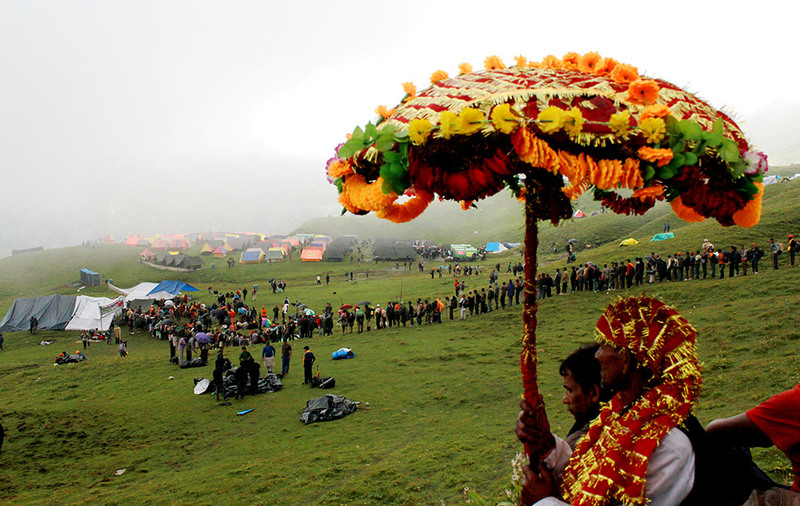 RoopKund is a popular place situated at an elevation of 5,029 mts above sea level. Trek to Roopkund is graded difficult. 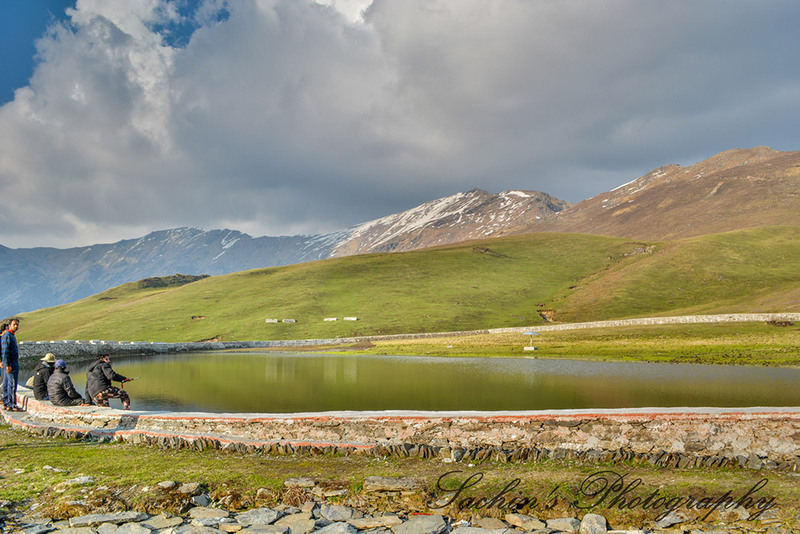 Bedni Kund at Bedni Bugyal also serves as a tourist attraction.There is gorgeous Bedni Kund (lake), crystal clear water of which displays the reflection of majestic Trishul peak. What is Ali Bedni Bugyal famous for? Ali Bedni Bugyal is famous among tourist as Trekking . Ali Bedni Bugyal is recommended destination for Corporates, Couples, Family and Kids, Foreigners, Groups, Solo. Ali Bedni Bugyal is popular destination for following activities/ interests - Adventure, Meadows, Trekking, Winter Treks.